We offer Harris Tweed apparel in two different weights, each suitable for different conditions and purposes. Which tweed is used is clearly marked in the item description. This Harris Tweed is woven just 6 miles away in Luskentyre, by master weaver Donald John Mackay MBE. Harris Tweed has been woven in the Mackay family for generations. Classic Harris Tweed is warm and cozy, making it suitable for use through Autumn, Winter and Spring. Classic Harris Tweed weighs around 310-330 grams per square metre. 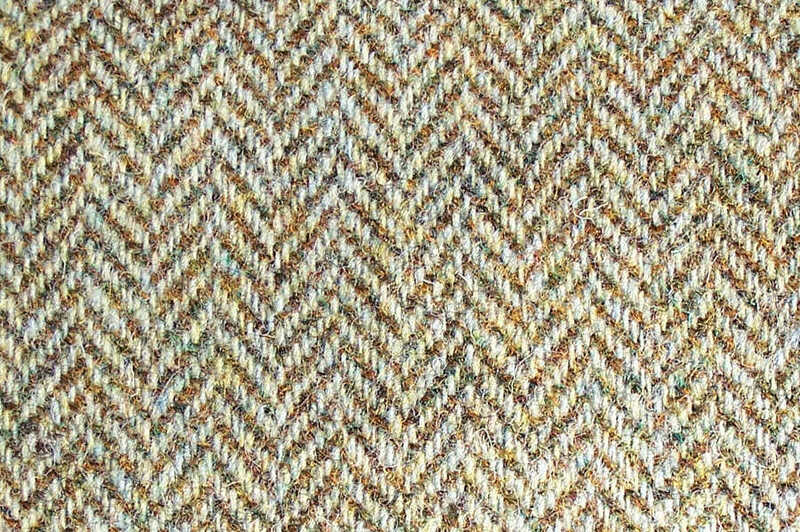 Superfine Harris Tweed is 20% lighter than Classic Harris Tweed, at around 260 to 280 grams per square metre. It is more versatile, and can be worn all year round. This makes it the ideal material for lighter jackets.